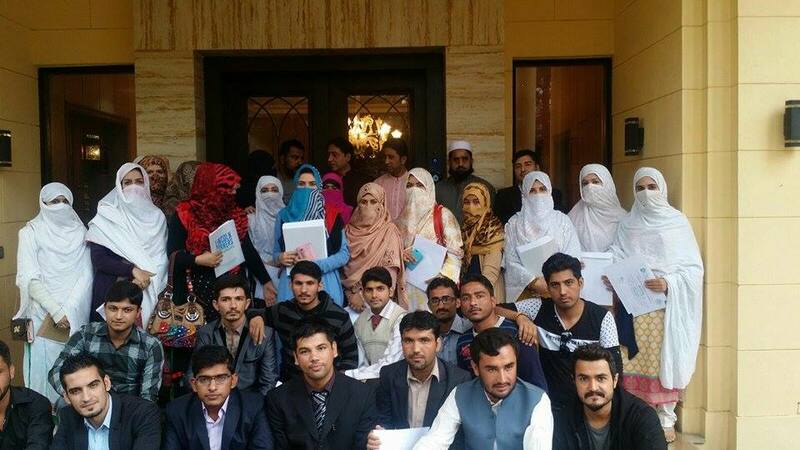 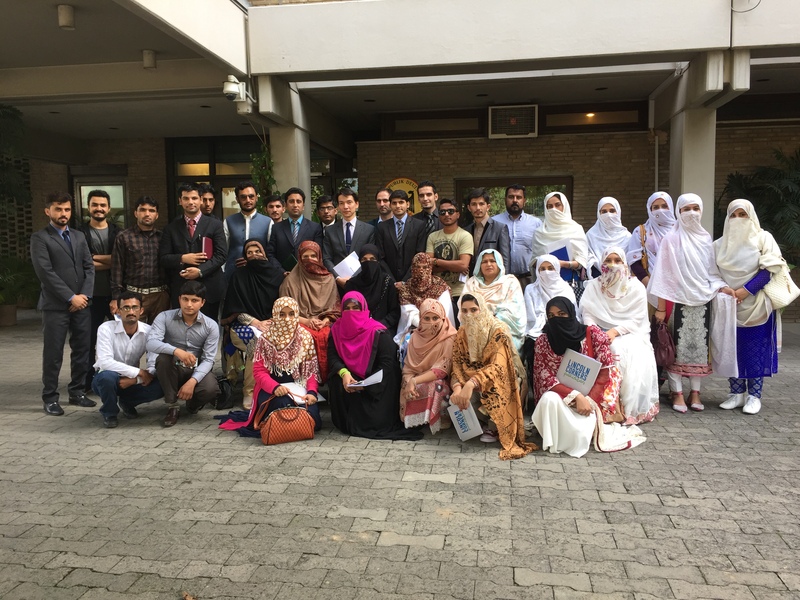 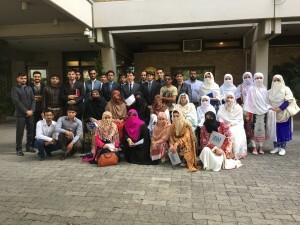 Dera Ismail Khan, November 6, 2015 – More than 30 students from Gomal University of Khyber-Pakhtunkhwa province met with officials from local NGO Community Help Community (CHC) and American diplomats at U.S. Embassy Islamabad’s Information Resource Center on November 3. 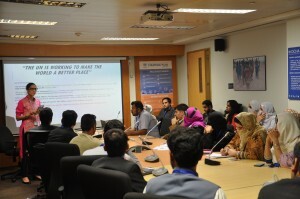 The group discussed ways in which Pakistani youth can engage in community service and volunteer work and contribute to improvement in their local communities. 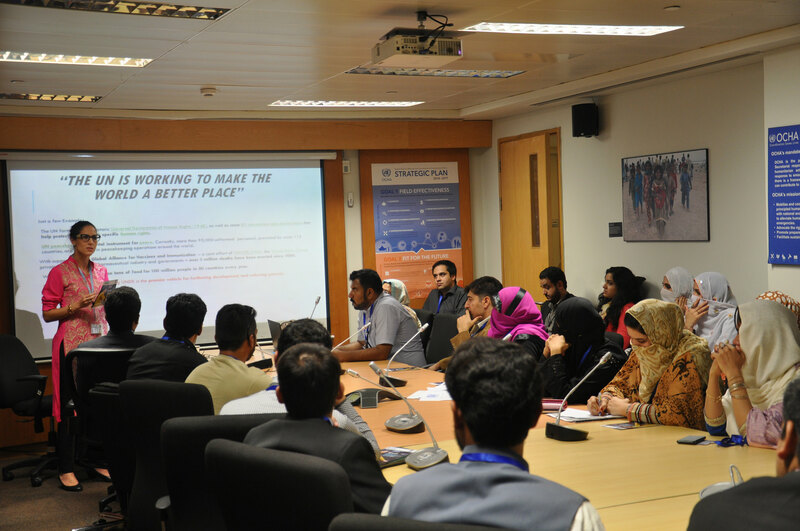 The session was one of five discussions organized by Community Help Community in partnership with NGOs SHARP, IWS and Serve. 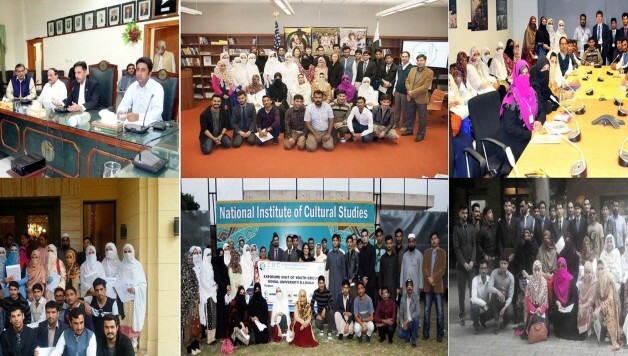 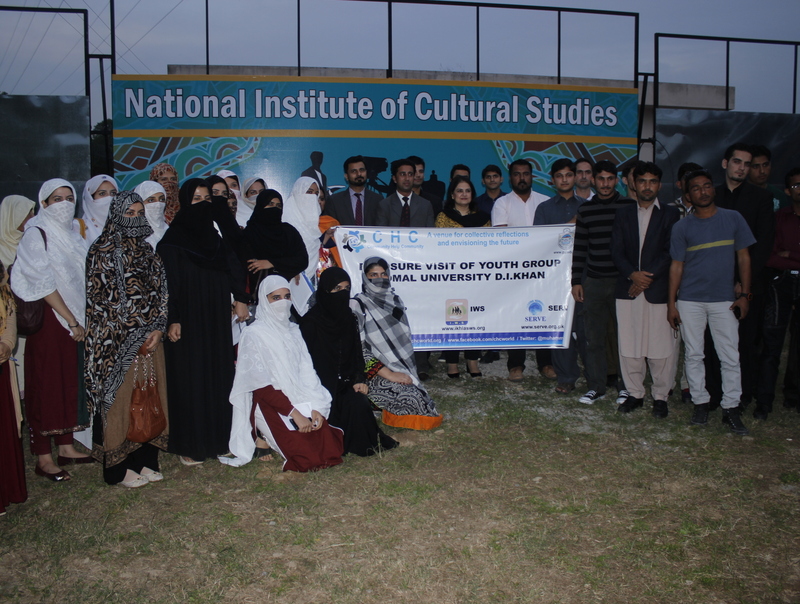 Senator and CEO Rubina Khalid and Joint Secretary Speaker’s Chamber National Assembly welcomed the students at the National Institute of Cultural Studies to discuss interfaith harmony, tolerance, and volunteerism. 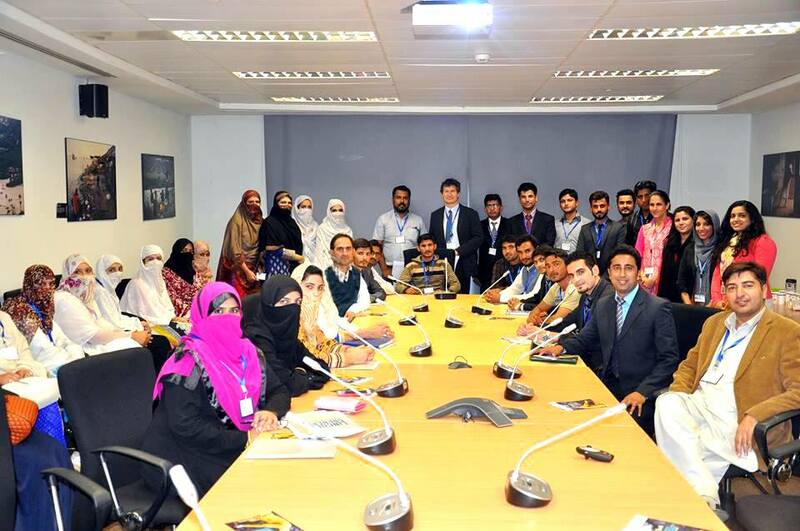 Students discussed German-Pakistani relations and cooperation with First Secretary Dr. Dan Tidten from the German Embassy. During a session held at UNDP Pakistan where Mr. Neil Buhne UN Resident & Humanitarian Coordinator/ UNDP Resident Representative in ‎Pakistan and Ms. Sonia Atallah Lead Coordinator of the upcoming National Human Development Report 2015, UNDP Pakistan discussed about the Sustainable Development Goals and invited the youth to participate in the Report which will highlight the Youth as a critical force for human development of the country. 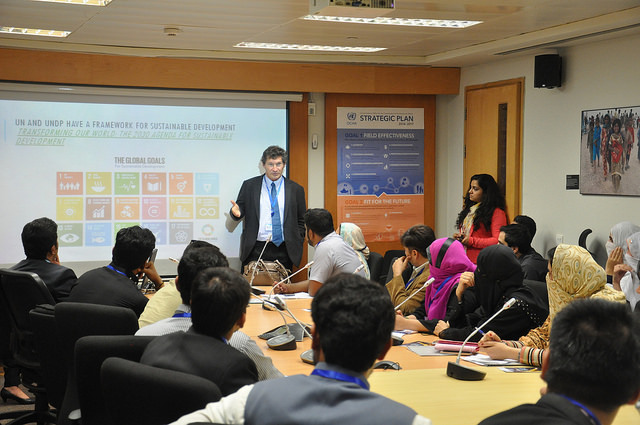 Finally, CHC arranged a session with philanthropist, politician, and entrepreneur Mr. Waqar Khan. Mr Khan presented each of the students a certificate for their participation in the program.